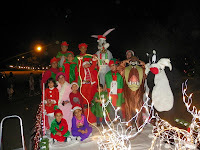 Alto Bonito Elementary participated in the annual Parade of Lights in Rio Grande City Texas . The theme for the event was Saturday Morning Cartoons. Everyone that participated portrayed or decorated a float of their favorite cartoon. Alto Bonito Elementary chose “A Looney Tunes Christmas”. 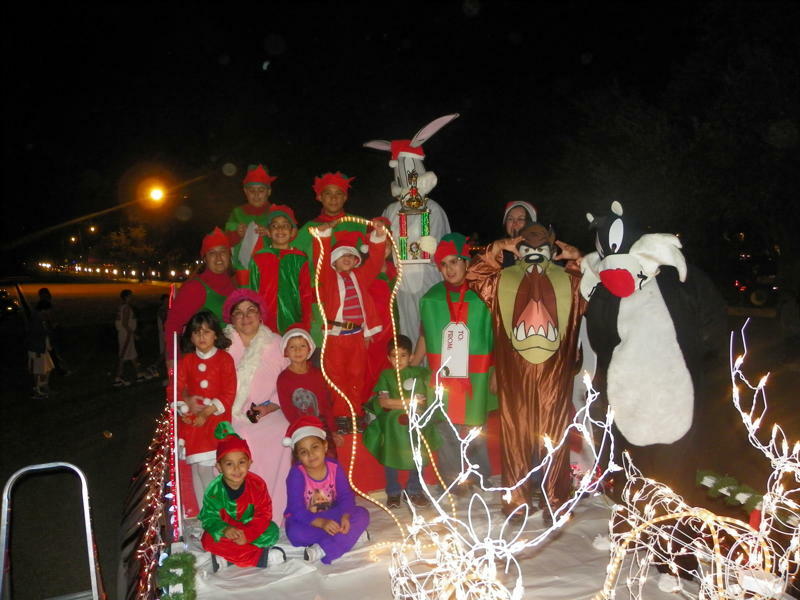 Children and adults dressed like Looney Tune characters and with a lot of hard work, a few crazy characters like Sylvester the cat, Bugs Bunny, Tazz, and a little music to ad to the evening, The Alto Bonito “Looney Tunes Christmas” float received a “Most Creative” Award from the City of Rio Grande. Congratulations to all!